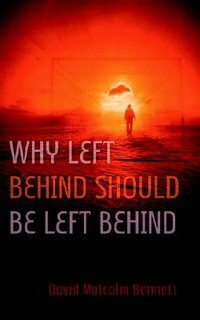 Why “Left Behind” should be left behind. If you don’t know, then I would recommend some reading. The first book is one of my former professors at Duke Divinity School named Dr. Mickey Efrid. He is Biblical scholar who spends a good deal of energy seeking to debunk “Darbyist” readings of Scripture. Don’t know what a “Darbyist” is? Then you may need to check out his book. If you own a Scofield Bible, you may also discover why that may be something to remedy (Scofield Study Bibles promote a dispensationalist interpretation of Scripture that is not biblical). A second text I discovered is at Cokesbury.com entitled “Why Left Behind should be left behind.” I haven’t read it, but I do like the title and agree with the sentiment. Both book covers can be clicked on for links to websites for more info. >Mike,Christ’s peace be with you also. And thanks for your website and your work for justice and reconciliation. Hope you don’t mind me borrowing liberally from some of your posted links to hunger related sites (all good stuff).